With its vast blue skies and rugged natural landscapes, Montana is one of the most beautiful places in the United States to get married. 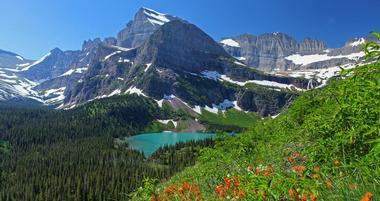 Visit Montana's towns, beautiful mountain lakes and historic attractions on your weekend trip. The state’s natural beauty leaves visitors in awe, and one of the main attractions is the world’s first national park, Yellowstone National Park, which draws scores of tourists from all over the world. 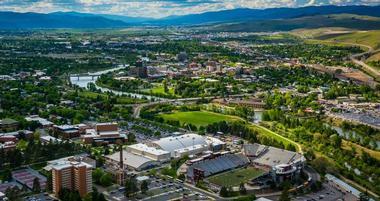 Plan a family adventure to Missoula, Montana where you can enjoy a number of outdoor activities and visit cultural attraction. 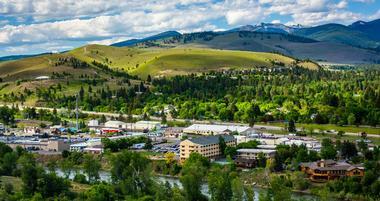 Bozeman offers visitors 300 sunny days a year and a diverse choice of things to see and do. 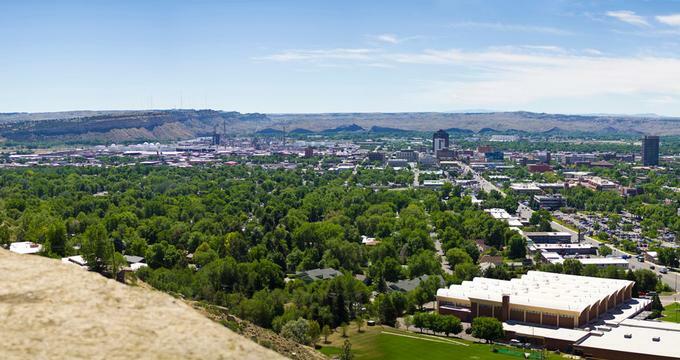 Plan a weekend getaway to Billings, Montana to visit great parks, museums and attractions. 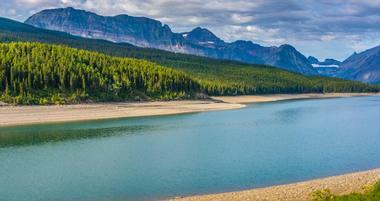 Known as the “Crown of the Continent,” Glacier National Park is the headwaters for many of the streams and rivers flowing to the Gulf of Mexico, the Pacific Ocean, and Hudson Bay. 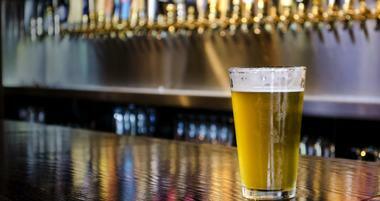 Montana grows some of the world’s finest barley and the Pacific Northwest’s hop fields are a short drive away, making the state one of the top beer-making regions in the country. Travelers vacationing at one of these premier dude ranches will be surrounded by Blue Ribbon trout streams, national parks and forests, and legendary ski resorts. 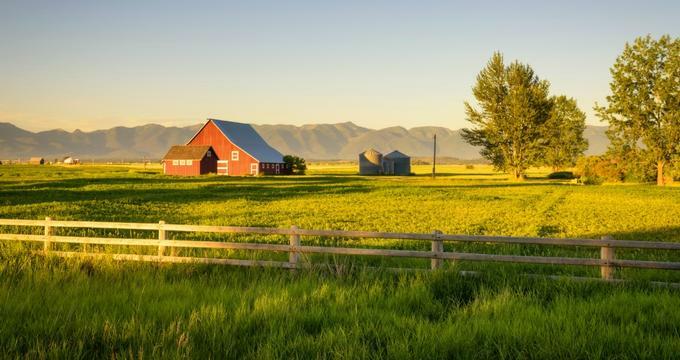 Montana is magnificent, untamed, wild and natural, the Big Sky Country stretched between the Great Plains and the Rockies with Glacier and Yellowstone National Parks being jewels in the state’s crown. It is the place of epic battles such as Little Bighorn, the home of grizzly bears, wolfs and bison, all protected in sanctuaries such as Grizzly and Wolf Discovery Center, The National Bison Range and Montana Grizzly Encounter. Montana also has lovely Helena, the state capital with its elegant, golden-domed capitol building, and great artists who were inspired by the state’s incredible beauty and its legendary history, such as Charlie Russell. Located near Crow Agency in southeastern part of Montana, Little Bighorn Battlefield National Monument is the location of the historic Battle of the Little Bighorn that happened in June 1876. The battle was fought between the US Seventh Cavalry Regiment under Lt. Col. George Armstrong Custer, and the Cheyenne and Sioux worriers under Sitting Bull. The area memorializes one of the last Indian's efforts to preserve their lands and way of life and those lost during the bloody confrontation. During the battle, 263 soldiers, including Lt. Col. Custer died fighting several thousand Indian warriors. Custer National Cemetery is part of this national monument. An informative visitor center and museum has a range of exhibits related to the Battle of Little Bighorn such as weapons, local archaeology and life of Plains Indians. There are ranger-led walking tours as well a 4.5 mile self-guiding tour. Grizzly and Wolf Discovery Center is a not-for-profit wildlife park and educational facility located one block from the entrance to the Yellowstone National Park. It offers home to grizzly bears, wolfs and other wild animal who are unable to survive in the wild for different reasons and now play the role of animal ambassadors for their wild relatives. Many became orphans when their mothers were killed, or were labeled “nuisance bears” because they were coming too close to human homes in search of food. The wolves in the Center were born in captivity as unplanned litters, are not able to survive on their own and cannot be safely released into the wild. Visitors have opportunity to watch these fascinating wild animals in their outdoor habitats. The Center offers a range of activities for the whole family, such as hiding food for the bears called Keeper Kid’s, Yellowstone Park Ranger Talks and many others. Located in Giant Springs Heritage State Park, on a steep bluff overlooking the Missouri River, the Lewis and Clark National Historic Trail Interpretive Center provides in-depth information and a range of interactive exhibits about Lewis and Clark's historic 8,000-mile journey across expanse of uncharted western North America. The exhibits bring to life the spirit of exploration and explain the historical importance of the journey and the westward expansion. Start your own journey by watching the introductory video in the Center’s theater before walking through the two-story diorama of the five falls of Missouri River. Visitors are encouraged to test their strength by pulling an exhibited boat against the Missouri's strong current. The Center not only chronicles the historic journey of Lewis and Clark, but also their experiences with Northwest and Plains Indians and details about the plants and animals that expedition documented. Rangers offer guided tours of the outdoor spaces, or you can explore on your own picturesque trails above the river. Located in Bozeman, Montana, Museum of the Rockies at Montana State University is recognized as one of the best history and research museums in the world. Affiliated with the Smithsonian Institute, the museum is famous for the largest collection of various dinosaur remains in the States, including the largest skull of Tyrannosaurus ever found and the thigh bone of a Tyrannosaurus rex with some soft tissue still on it. Besides the permanent collection, the museum offers to the visitors a range of changing exhibitions from all over the world. There are permanent outdoor and indoor exhibitions on regional history, planetarium shows, diverse educational programs, experts’ lectures, benefit events, and many other activities. The focus of museum's collections is the cultural and physical history of the Rocky Mountains and the ancient people and animals who have lived in the mountains over 500 million years. Charlie Russell is an American painter and sculptor who documented the disappearing Old West, telling the story of the vanishing way of life of the American West through his superb artwork as no other artist did. C.M. Russell Museum is the first museum completely dedicated to Western art. It contains the home in which Charles Marion Russell lived, his original studio and many paintings and sculptures created by Russell and a number of his contemporaries. The museum also contains a large exhibition of Browning Firearms and information about John Moses Browning, one of the most significant and innovative world gun makers. Located in Missoula's downtown Caras Park, on the Clark Fork River, not far from the Jeannette Rankin Peace Center, historic Wilma Theatre, and Osprey baseball stadium, Carousel for Missoula is a famous hand-carved carousel built in 1995 by a local cabinet-maker with the help of a large number of volunteers. It contains 38 ponies, 14 gargoyles, two chariots, mirror frames, gargoyle frames and the largest band organ in the States still in use. Behind the carousel is a volunteer-built park called Dragon Hollow. The beautiful, ornate carousel is the main attraction of the popular Caras Park, a venue for many local public events. The Conrad Mansion Museum is located in Kalispell, Montana, on top of a high bluff overlooking the Swan mountain range and the valley below. The historic Victorian shingle Norman mansion was built in 1895 as a home for the family of a businessman and founder of Kalispell Charles E. Conrad. The mansion is surrounded by three acres of wonderfully landscaped gardens and a stone fence with ornate iron gate. A rare for a home from that period, it still contains almost all original furnishing, offering visitors a true glimpse into the luxury life of early well-off pioneers in Montana. The mansion is a venue for many community events, educational programs and guided tours with guides dressed in period costumes. The National Bison Range is a 18,500-acre Wildlife Refuge in western Montana created in 1908 as a sanctuary for the rapidly disappearing American bison. It is one of the oldest wildlife refuges in the country. The range has played a crucial role in the recovery of these iconic animals. Today it is home to about 500 bison and a range of other animals such as mule and white-tail deer, bighorn sheep, pronghorn antelope, black bear and coyote. There are also about 200 species of birds including hawks, eagles, meadowlarks, ducks, bluebirds and geese. There is a scenic road through the open grasslands that offers visitors a great opportunity to watch animals in their natural environment. The range is closed at night and camping is not allowed. Located in Bozeman, Montana, Montana Grizzly Encounter is a Grizzly Bear Rescue & Education Sanctuary founded in 2004. The goal of the sanctuary is to provide a natural, safe and spacious home for rescued grizzly bears. It is also the place where the public can come to learn about grizzly bears and watch the majestic wild animals in a beautiful, scenic mountain setting. The bears who live in the sanctuary were rescued from various inhumane captive situations and cannot be rehabilitated and released into the wild. They are offered the best possible life in the environment which resembles the environment in which their wild relatives live. There are no cages or bars, and people are able to see them from close up, in safety, without disturbing them. The sanctuary offers free tours to the school children who come to learn about the bear safety and conservation. Whitefish Mountain Resort is located in northwest Montana, high up in the Rocky Mountains, about 35 miles from Glacier National Park and seven miles from Whitefish. With more than 3,000 skiable acres, the Resort is one of the biggest ski resorts in both the US and Canada. The resort is famous for its state-of-the-art grooming, lifts and snowmaking. 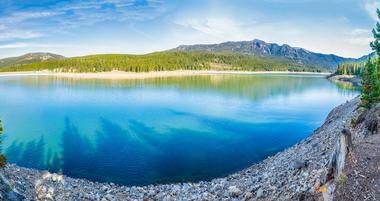 Nearby Whitefish Mountain Resort Village is an alpine village offering full service to the visitors. While in the winter visitors come for superb skiing, snowboarding, snowshoeing and snowmobile tours, in the summer, the mountain slopes become exciting venue for various zipline tours, an Alpine Slide, downhill mountain biking, scenic lift rides, an Aerial Adventure Park, and the Walk in the Treetops. 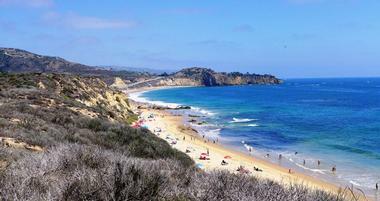 The resort offers accommodations for any budget and needs. Chico Hot Springs Resort and Day Spa is a historic resort located in Paradise Valley, north of Yellowstone National Park, in the foothills of the stunning Absaroka Mountain Range. The original building of the Historic Main Lodge opened its door in 1900 as Chico Warm Springs Hotel. The three-story lovely Victorian Main Lodge is home to the famous Main Dining Room, the Warren Wing, the Saloon, the Poolside Grille and the pool with the healing hot spring water. The Main Lodge has 48 comfortable, elegant rooms furnished with antiques. Chico offers its guests a range of activities such as a day spa, horseback riding, rafting, skiing, snowshoeing and much more. ZooMontana is a 70-acre zoo and botanical garden located in scenic Billings, Montana, focusing on the conservation of wild animals of Montana and other areas with similar conditions. The zoo is home to more than 100 wild animals from 51 different species such as wolves, otter, grizzly bear, eagles and lynx. Animals live in enclosures that imitate their natural habitats as much as possible. Canyon Creek runs slowly through the zoo, creating a pleasant, tranquil park-like environment. The zoo offers visitors an opportunity to meet and learn about animals that populate Yellowstone ecosystem by observing them, watching interpretive displays, and through various educational programs. The Moss Mansion is a historic house museum in Billings, Montana. The beautiful red-stoned mansion was built in 1903 by entrepreneur Preston Boyd Moss for his family. Designed by renowned New York architect Henry Janeway Hardenbergh, Moss Mansion greatly influenced the architecture and culture of Billings of the time. The mansion is listed on the National Register of Historic Places and has starred in several movies, such as Return to Lonesome Dove and Son of the Morning Star. Today open as the house museum, Moss Mansion still has the original fixtures that remained intact and some amenities that were rare for the times, such as a call button for the servants. The museum is managed by the Billings Preservation Society and is open to visitors for guided tours. DanWalt Gardens is a private garden and an event venue in the Billings’ suburbs that hosts a beautiful selection of perennials that grow in the Billings Montana climate. In the spring, thousands of irises captivate with colors and fragrance. In the summer, hanging baskets are providing a riot of colors and decorating any event held in the Gardens. The Memorial Rose Garden offers visitors an opportunity to buy and plant a rose in memory of a loved one. The venue is very popular for weddings and all other private and corporate evens. Included in the facility are the reception hall, the kitchen and public facilities. The month of May is reserved for kids’ science workshops. Tizer Botanic Gardens & Arboretum is a magnificent six-acre oasis located in Jefferson City, Montana, in the Elkhorn Mountains. The magnificent gardens, with tranquil Prickly Pear Creek running through, provide venue for weddings, festivals, social events and educational activities year around. The garden consists of thematic gardens such as raspberry and strawberry patches, vegetables of all kinds, an experimental Rose Garden designed to test roses for Weeks Roses of California competition; Herb Garden grows medicinal, tea and edible herbs; gnome gardens with the magnificent Upside Down Trees are kids’ favorite; there is also the meditative Buddha garden and the restored Gold Miner's Cabin located on a tiny island in the middle of the Prickly Pear creek. Located in Helena, Montana, on a gentle slope and surrounded by ten acres of well-maintained lawns and other official buildings, Montana's Capitol looks stately and imposing. 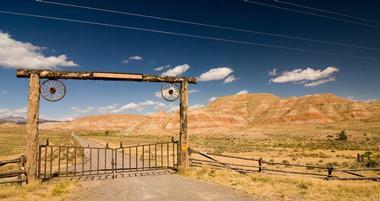 Its granite and sandstone walls are overlooking the lush Prickly Pear Valley. On top of the Capitol’s copper dome is a statue of Liberty. The Capitol has a wonderful art collection that is open to the visitors. One of the most significant art pieces is Charles M. Russell's spectacular historical depiction of the meeting between Lewis and Clark and the Indians at Ross' Hole in 1805. The main part of the Capitol was completed in 1902 while two wings took ten more years and were completed in 1912. The fascination with Yellowstone Park started long before the park was established, with first trappers who stumbled on the incredible geysers, bubbling mud pools and beautiful mountains. Since the park was opened in 1872, millions of people came to enjoy the park’s magic. Yellowstone Historic Center tells the story about the history of transportation and visitation to the America’s first national park. It is located in West Yellowstone in the historic Union Pacific Depot, and contains a range of exhibits with artifacts from the park’s history and the history of railroad companies and stage coaches that brought visitors to the park. The new exhibition opened in 2017 is celebrating 100 years since the first White Motor Coach Company brought first touring busses to Yellowstone. The museum offers educational programs, invites interesting guest speakers, shows daily relevant films, and offers guided tours of the town’s historic district. McGinnis Meadows Cattle & Guest Ranch is a 75000-acre horseback riding dude ranch near the town of Libby in Northwest Montana where you can combine an active vacation with cattle drives, horsemanship and cattle working. Ranch is located next to an open meadow at about 3,300 feet elevation, surrounded by tall mountains covered with ancient forests, with a creek that runs through year around. The ranch land was homesteaded by the Davis family in the 1890's, and their original house is still around as the reminder of the past, as well as little log houses snuggled near the treeline. While the ranch emphasizes on Buck Brannaman horsemanship, the guests can also hike to the top of the ridge to see the Cabinet Wilderness Area, mountain bike, fish for a brook trout or sit on a private deck and listen to the birds or rustling of the leaves. You can bring your own horse or ride one of the well-trained horses belonging to the ranch. Formerly called the American Computer Museum, the American Computer & Robotics Museum celebrates the history of computing, artificial intelligence, communications and robotics. Located in Bozeman, Montana, the museum covers origins and a 20,000-year long history of the information age. From the ancient Sumerians’ writing system to early versions of calculator, the museum links key developments in the field to tell the story of how the early computer was born and eventually changed the course of our civilization. The museum’s 6,000 square feet of exhibit space covers only a small percentage of the entire collection the museum owners have. There are more than 1,000 items exhibited at any time, such as an operator’s switchboard, the oldest calculator and telephone in Montana, not-too old but obsolete office appliances, adding machines, and many, many computers. The World Museum of Mining is one of the very few mining museums located in an actual mine. This 44-acre museum is located in the yard of the inactive silver and zinc mine named Orphan Girl near the town of Butte. The museum brings to life the American history mining through 50 structures, from the 100 foot high headframe to the buildings of a turn of the century small mining town Hell Roarin' Gulch. The Museum offers two underground tours that take visitors deep into the bowels of the Orphan Girl mine. The one-hour 65 foot long tour offers a glimpse of the tunnel. The longer, 100 foot tour, which takes about one hour and half, offers a bit of history of the mine and the opportunity to see the mine’s vein. The Historical Museum at Fort Missoula was established in 1975 by the local community in order to save the remnants of original Fort Missoula, and to tell the area's history. Fort Missoula was established in 1877 by the United States Army on what is now the city of Missoula, Montana, to protect Western Montana settlers from potential attacks from the Native Americans. The museum is located in the heart of the historic old fort and it contains over 40,000 objects, including 15 historic structures. It is considered to be a major Western Montana historical museum providing an important cultural and educational experience for the community. Besides museum’s outdoor buildings, the museum also has indoor galleries with both permanent and temporary exhibits that cover topics of historical interest from the early exploration era to modern times. 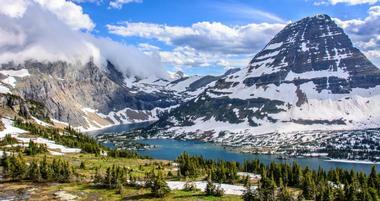 Big Sky Resort is a 4-star ski resort located about an hour rom Bozeman, in southwestern Montana. The Resort opened in 1973 and is known as the "Biggest Skiing in America, " with over 5,800 acres of ski terrain, a vertical drop of 4,350 feet, 11 surface lifts and 23 chair lifts. The summit elevation of the ski area is 11,166 feet. The resort gets over 400 inches of snow in average annually. During the summer, the resort visitors enjoy 40 miles of mountain bike trails, golf, zipline tours and hiking. The resort is the most popular base camp to Yellowstone National Park, providing regular shuttles to the west entrance of the park. The Lewis & Clark Brewery is located in Helena, Montana, in the heart of the Lewis and Clark country. The great explorers provided the inspiration for the name of the brewery and the brewing style. Their beers are un-pasteurized and hand-crafted in the modern, top of the line facility. The brewery is located in the 1885 Stone Smokehouse, built to smoke meat. Much of the old building has been carefully preserved. The large tap room is located upstairs in the brewery building and offers live music twice a week. It can be rented for special events. The Garden of One Thousand Buddhas is located close to the town of Arlee, Montana, on the Flathead Indian Reservation in Montana’s Lake County. The monument part of this spiritual site occupies 750 square feet and is surrounded by 10 acres of garden. The Garden was founded by a Tibetan Buddhist master Gochen Tulku Sang-ngag Rinpoche. His non-profit organization Ewam received the land from an anonymous donor. The site is planned to become a pilgrimage for the people in the West, and a place where people of all faiths could come to worship. The entrance is free for everyone. The Garden is maintained by volunteers, who are also engaged in casting planned 1,000 statues of Buddha from concrete.